Amani Olu, in conjunction with P•P•O•W, is pleased to present Young Curators, New Ideas III, an experimental exhibition that investigates current positions in contemporary art through the perspective of six curators. Exhibiting curators include Andrew Russeth & Liza Buzytsky, Erin Dziedzic, Kate Greenberg & Hilary Schaffner, Stamatina Gregory, Gabriella Hiatt, and James Shaeffer. These multifaceted and dynamic micro-exhibitions consider contemporary issues that exist at the intersection of curatorial practice and artistic production. 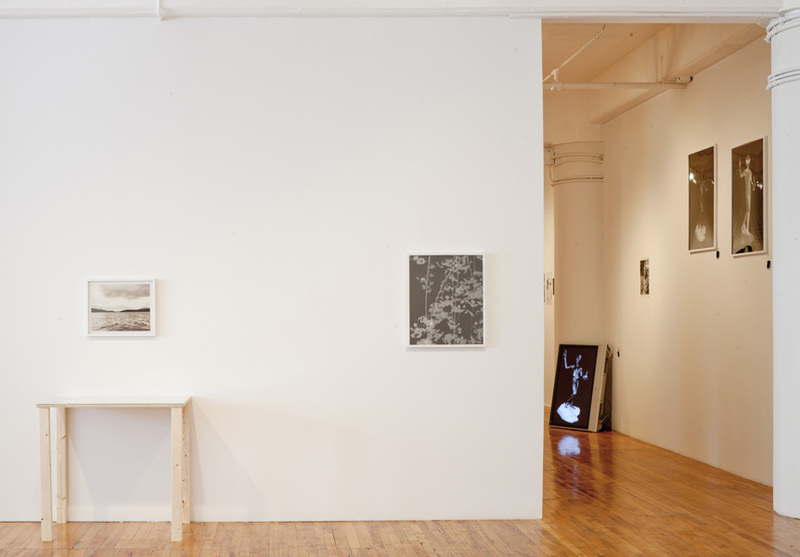 Personal / Public / Private curated by Andrew Russeth & Liza Buzytsky: In attempting to participate actively in art making, some contemporary curators have surrendered their positions as committed cultural arbiters. This project opposes that trend, positing the curator as an autonomous actor selecting existing work for an exhibition based on specific criteria. 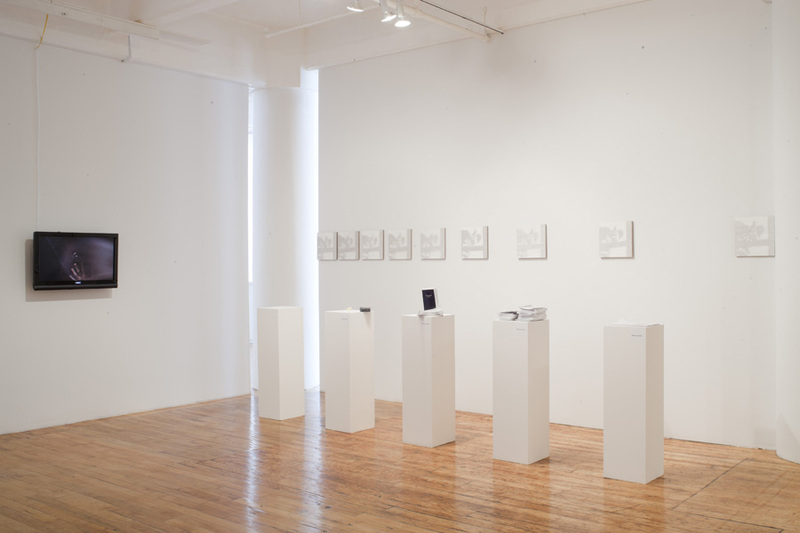 It includes three projects — with work by Erik Lindman, Liza Buzytsky, Phil Chang, and Alexandra P. Spaulding — that use modernist devices in four specific mediums for resolutely personal ends, which inhabit a place between their creator’s private obsessions and their audience’s public reception. Erin Dziedzic presents, Craig Drennen’s (Untitled) The Masquers, part of a continuing series of characters from the entire dramatis personae of the Shakespearean play Timon of Athens, which was never performed during Shakespeare’s life and is often considered a “failed” work. 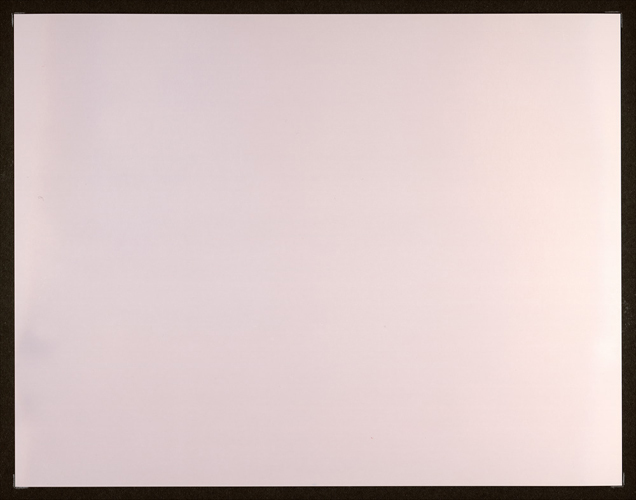 Drennen has recontextualized Talent (1986), David Robbins’ photographic images of major art figures of the 1980s. 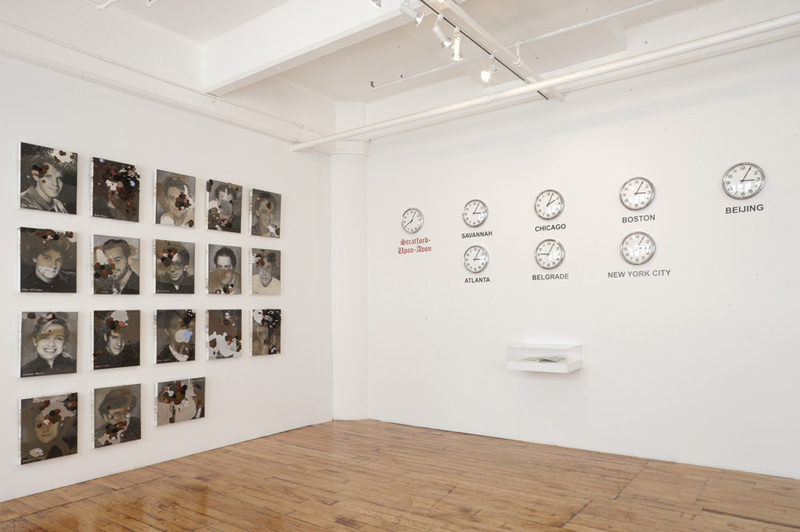 Drennen’s paintings peruse the notion of so-called “successes” and “failures” in contemporary art, situating himself within our existing cultural structure and visually exploring an unoccupied bandwidth within which a “failed” project resides, therefore addressing the idea of redirection in the visual language, concepts, and critical theory of the current moment. (Untitled) The Masquers bring to light the possibility of postmodernism’s tenure losing ground to a new hybrid practice that assimilates and questions traits from modernism and postmodernism, intensifying the desire for new perspectives beyond the available vocabulary. 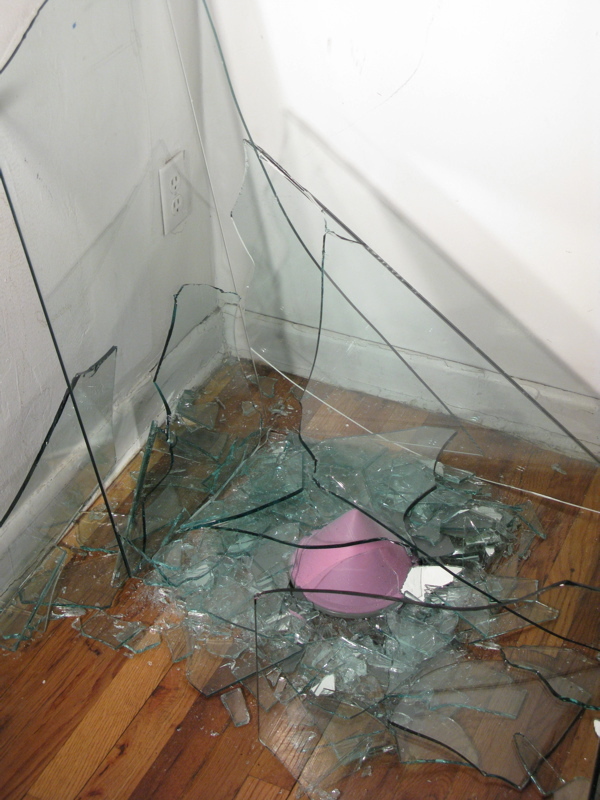 Broken Lattice, curated by Kate Greenberg & Hilary Schaffner, is an installation of photographs, found objects, and sculptures by the artist Bryan Graf. 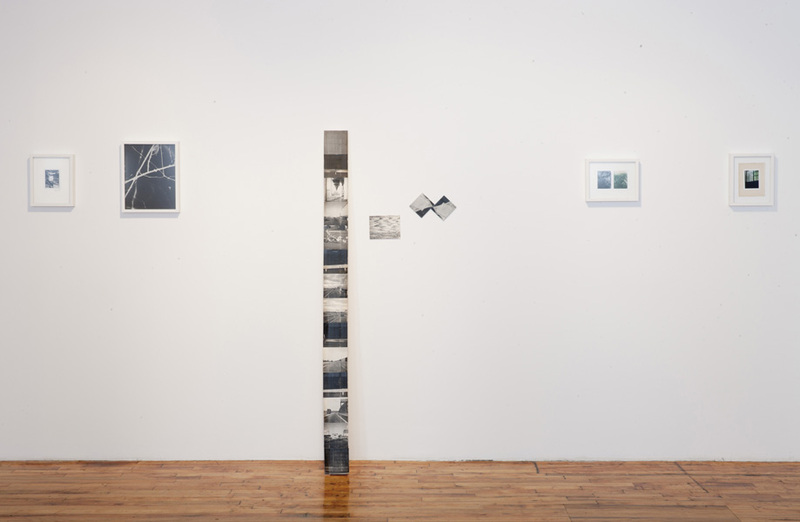 Working in both two and three dimensions, Broken Lattice reflects on the materiality of time by exploring the ways in which photography can be abstracted, pulled apart and collapsed. 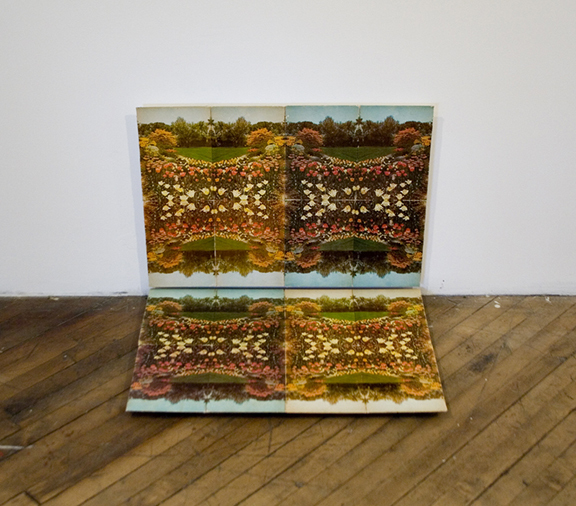 Graf's installation consists of visual palindromes and image fractions that range in reference from kaleidoscopes and family albums to cinematic editing techniques such as shot/reverse shot. The installation intends to mimic the way pictures generate content through their physical presence as objects, thereby highlighting Graf’s fascination with temporality and the natural environment. The Heisenberg Uncertainty Principle, a theory of quantum mechanics, claims that there are features of the world that cannot simultaneously be quantified. One can’t measure, for instance, both the speed and position of a particle, or a planet: the knowledge of one blurs the value of the other, and the observed becomes part of an observed system. 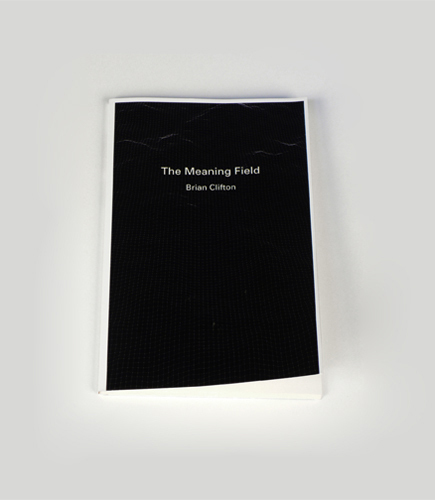 Quantum Limbo, curated by Stamatina Gregory, brings together two artists, Julia Oldham and Brian Clifton, who have independently explored this principle through their work, in both literal and metaphoric engagements with the meanings and measurements of physics. Their practices share a ruthless, yet eloquent appropriation of a scientific rubric in order to investigate contemporary structures of meaning from both within and without the art world. Immaterial Architecture, curated by Gabriella Hiatt, explores the different modes of experiencing spatial environments freed from the reliance on physical materials. Artist Jan Tichy generates forms that, while sharply defined, are not solid, but utterly penetrable features that give shape to a reality literally under our field of vision—those man-made structures such as oil rigs, pipelines, and water wells that are only visible on land as a cylindrical container of liquid or a cube above the sea. In Tichy’s work these fixed architectural elements operate in dialogue with a changing projected environment, suggesting an underworld of flux and turmoil. During the opening a special performance by choreographer Douglas Dunn will mediate the imperceptible spaces between air and matter throughout the gallery, calling attention to the juncture of the seen and the seen through. zu täuschen den Schutzhund, curated by James Shaeffer: As the Internet has increasingly become a source for not only the exhibition of art but also the transfer of artworks so has ideas of dematerialization and issues of originality in artwork come into question again. Now artworks can be created on a computer and sent to multiple participants simultaneously while also exhibited online. Images, 3D models, and videos can all be reproduced ad infinitum and exhibited endlessly. Featuring works by AIDS-3D, Ben Schumacher, and Victor Vaughn; each artist presents pieces that address concurrent issues of originality, distance, immaterialism and reproduction – a theme attended to with the actual exhibition itself. Concomitantly with the exhibition at P•P•O•W, all the work will be available for free download off the Internet and simultaneously shown at REFERENCE Art Gallery in Richmond, VA.